Recherche couvrant les domaines suivants : dendrochronologie, écologie et climatologie globale, reconstitution climatique, historique des feux, climatologie et sciences de l’atmosphère, croissance arborescente et environnement, modélisation de la balance hydrique, dynamique forestière, dynamique des tourbières, dynamique des perturbations, historique des perturbations d’insectes, productivité forestière, etc. 78. Marchand, W., Girardin, M.P., Hartmann, H., Gauthier, S., Bergeron, Y. Under revision. Topography, together with ontogeny, competition and soil parameters, drives needleleaf species’ sensitivity to climate in boreal North America. Global Change Biology. 77. Barhoumi, C., Drobyshev, I., Ali, A.A., Kryshen, A., Peyron, O., Subetto, D., Alleaume, S., Girardin, M.P., Paradis, L., Brossier, B., Joannin, S., Pastor, T. Submitted. Gradually increasing forest fire activity during the Holocene in the northern Ural region (Komi Republic, Russia). 76. Hember, R.A., Kurz, W.A., Girardin, M.P. Under revision. Tree-ring reconstructions of stemwood biomass indicate increases in the growth rate of black spruce trees across boreal forests of Canada. 75. Hély, C., Remy, C., Chaste, E., Girardin, M.P., Blarquez, O., Bergeron, Y., Ali, A.A. Submitted. Fire models at the service of paleoecology: fire size and spring fires as key processes in differentiating mixedwood from coniferous boreal forests. 74. Giguère-Croteau, C., Boucher, E., Bergeron, Y., Girardin, M.P., Drobyshev, I., Silva, L.C.R., Hélie, J.F., Garneau, M. 2019. North America’s oldest boreal trees are more efficient water users due to increased [CO2], but do not grow faster. Proceedings of the National Academy of Sciences USA, 116(7): 2749-2754. 73. Chaste, E., Girardin, M.P., Kaplan, J.O., Bergeron, Y., Hély, C. 2019. Increases in heat-induced tree mortality could drive reductions of biomass resources in Canada’s managed boreal forest. Landscape Ecology, https://doi.org/10.1007/s10980-019-00780-4. 72. Babst, F., Bouriaud, O., Poulter, B., Trouet, V., Girardin, M.P., Frank, D.C. 2019. Twentieth century redistribution in climatic drivers of global tree growth. Science Advances, 5(1): eaat4313. 71. De Grandpré, M.P., Kneeshaw, D., Perigon, S., Boucher, D., Marchand, M., Pureswaran, D., Girardin, M.P. 2019. Adverse climatic periods precede and amplify defoliator‐induced tree mortality in eastern boreal North America. Journal of Ecology 107: 452-467, https://doi.org/10.1111/1365-2745.13012. 70. Marchand, W., Girardin, M.P., Gauthier, S., Hartmann, H., Bouriaud, O., Babst, F., Bergeron, Y. 2018. Untangling methodological and scale considerations in growth and productivity trend estimates of Canada’s forests. Environmental Research Letters 13: 093001. 69. Remy, C.C., Fouquemberg, C., Asselin, H., Andrieux, B., Magnan, G., Brossier, B., Grondin, P., Bergeron, Y., Talon, B., Girardin, M.G., Blarquez, O., Bajolle, L., Ali, A.A. 2018. Guidelines for the use and interpretation of palaeofire reconstructions based on various archives and proxies. Quaternary Science Reviews 193: 312-322. 68. Babst, F., Bouriaud, O., Poulter, B., Zhang, Z., Trouet, V., Evans, M., Charney, N., Record, S., Enquist, B., Seftigen, K., Björklund, J., Klesse, S., Bodesheim, P., Mahecha, M., Girardin, M., Friend, A., Frank, D. 2018. 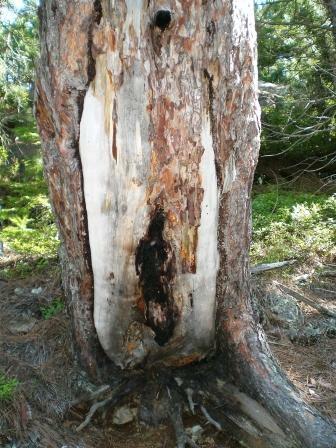 When tree rings go global: challenges and opportunities for retro- and prospective insight. Quaternary Science Reviews 197: 1-20. 67. Waito, J., Girardin, M.P., Tardif, J.C., Conciatori, F., Bergeron, Y., Ali, A.A. 2018. Recent fire activity in the boreal eastern interior of North America is below that of the past 2000 years. Ecosphere 9(6): e02287. 66. Chaste, E., Girardin, M.P., Kaplan, J.O., Portier, J., Bergeron, Y., Hély, C. 2018. 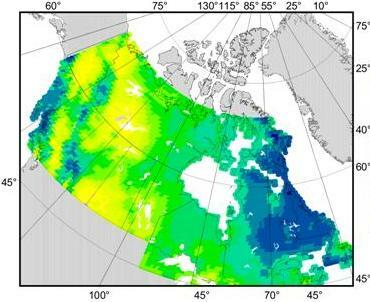 The pyrogeography of eastern boreal Canada from 1901 to 2012 simulated with the LPJ-LMfire model. Biogeosciences 15: 1273, https://doi.org/10.5194/bg-15-1273-2018. 65. Ols, C., Trouet, V., Girardin, M.P., Hofgaard, A., Bergeron, Y., Drobyshev, I. 2018. Post-1980 shifts in the sensitivity of boreal tree growth to North Atlantic Ocean dynamics and seasonal climate. Global and Planetary Change 165: 1-12, https://doi.org/10.1016/j.gloplacha.2018.03.006. 64. Housset, J., Nadeau, S., Isabel, N., Depardieu, C., Duchesne, I., Lenz, P., Girardin, M. 2018. Tree rings provide a new class of phenotypes for genetic associations that foster insights into adaptation of conifers to climate change. New Phytologist 218: 630-645. 63. Ols, C., Girardin, M.P., Hofgaard, A., Bergeron, Y., Drobyshev, I. 2018. Monitoring climate sensitivity shifts in tree-rings of eastern boreal North America using model-data comparison. Ecosystems 21: 1042–1057. 61. Boulanger, Y., Girardin, M.P., Bernier, P.Y., Gauthier, S., Beaudoin, A., Guindon, L. 2017. Changes in mean forest age in Canada’s forests could limit future increases in area burned but compromise potential harvestable conifer volumes. Canadian Journal of Forest Research 47(6): 755-764. 60. Remy, C.C., Lavoie, M. , Girardin, M.P., Hély, C., Bergeron, Y., Grondin, P., Oris, F., Asselin, H., Ali, A.A. 2017. Wildfire size alters long-term vegetation trajectories in boreal forests of eastern North America. J. Biogeography, 44: 1268–1279. 57. Housset, J., Carcaillet, C., Girardin, M.P., Xu, X, Bergeron, Y. 2016. In situ comparison of tree-ring responses to climate and population genetics: the need to control for local climate and site variables. Frontiers in Ecology and Evolution 4: 123, doi: 10.3389/fevo.2016.00123. 55. Girardin, M.P. *, Hogg, E.H., Bernier, P.Y., Kurz, W.A., Guo, X.J., Cyr, G. 2016. Negative impacts of high temperatures on growth of black spruce forests intensify with the anticipated climate warming. Global Change Biology, 22: 627–643. doi: 10.1111/gcb.13072. 54. Blarquez, O., Ali, A.A., Girardin, M.P., Grondin, P., Fréchette, B., Bergeron, Y., Hély, C. 2015. Regional paleofire regimes affected by non-uniform climate, vegetation and human drivers. Scientific Reports 5, 13356; doi: 10.1038/srep13356. 52. Housset, J., Girardin, M.P., Baconnet, M., Carcaillet, C., Bergeron, Y. 2015. Unexpected warming-induced growth decline in Thuja occidentalis at its northern limit in North America. Journal of Biogeography 42(7): 1233–1245. 51. Terrier, A., Girardin, M.P., Cantin, A., de Groot, W.J., Anyomi, K.A., Gauthier, S., Bergeron, Y. 2015. Disturbance legacies and paludification mediate the ecological impact of an intensifying wildfire regime in the Clay Belt boreal forest of eastern North America. Journal of Vegetation Science 26(3): 588–602. 50. Waito, J., Girardin, M.P., Tardif, J.C., Hély, C., Blarquez, O., Ali, A.A. 2015. Fire and climate: using the past to predict the future. In Handbook of Forest Ecology, edited by Kelvin Peh, Richard Corlett, and Yves Bergeron. 49. Anyomi, K.A., Raulier, F., Bergeron, Y., Mailly, D., Girardin, M.P. 2014. Spatial and temporal heterogeneity of forest site productivity drivers: a case study within the eastern boreal forests of Canada. Landscape Ecology 29: 905-918. 48. Girardin, M.P., Xiao Guo, J., de Jong, R., Kinnard, C., Bernier, P.Y., Raulier, F. 2014. Unusual forest-growth decline in boreal North America covarying with the retreat of Arctic sea ice. Global Change Biology , 20: 851-866. 47. Terrier, A., de Groot, W.J., Girardin, M.P., Bergeron, Y. 2014. Dynamics of moisture content in spruce-feather moss and spruce-Sphagnum organic layers during an extreme fire season and implications for future depths of burn in Clay Belt black spruce forests. International Journal of Wildland Fire 23: 490-502, http://dx.doi.org/10.1071/WF13133. 46. Blarquez, O., Girardin, M.P., Leys, B., Ali, A.A., Aleman, J.C., Bergeron, Y., Carcaillet, C. 2013. Paleofire reconstruction based on an ensemble-member strategy applied to sedimentary charcoal. Geophysical Research Letters 40: 2667–2672, doi:10.1002/grl.50504, Open Access . 45. Girardin, M.P., Ali, A.A., Carcaillet, C., Blarquez, O., Hély, C., Terrier, A., Genries, G., Bergeron, Y. 2013. Vegetation limits the impact of a warm climate on boreal wildfires. 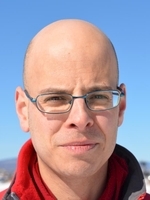 New Phytologist : 199: 1001–1011. doi: 10.1111/nph.12322. 44. Girardin, M.P., Ali, A.A., Carcaillet, C., Gauthier, S., Hély, C., Le Goff, H., Terrier, A., Bergeron, Y. . 2013. Fire in managed forests of eastern Canada: Risks and options. Forest Ecology and Management 294: 238–249. 43. Terrier, A., Girardin, M.P., Périé, C., Legendre, P., Bergeron, Y. 2013. Potential changes in forest composition could reduce impacts of climate change on boreal wildfires Ecological Applications 23: 21-35. 41. Meyn, A., Schmidtlein, S., Taylor, S.W., Girardin, M.P., Thonicke, K., and Cramer, W. 2013. Precipitation-driven decrease of wildfires in British Columbia, Regional Environmental Change 13: 165-177 Access to Journal . 39. Anyomi, K., Raulier, F., Mailly, D., Girardin, M.P., Bergeron, Y. 2012. Using height growth to model local and regional response of trembling aspen (Populus tremuloides Michx.) to climate within the boreal forest of western Québec, Ecological Modelling 243: 123–132. 36. Tardif, J.C., Girardin, M.P., and Conciatori, F. 2011. Light rings as bioindicators of climate change in Interior North America. Global and Planetary Changes 79: 134-144. 33. Girardin, M.P., Ali, A.A, Hély, C. 2010. Wildfires in boreal ecosystems: past, present, and some emerging trends. International Journal of Wildland Fire 19: 991-995. 32. Drobyshev, I., Flannigan, M.D., Bergeron, Y., Girardin, M.P., Suran, B. 2010. Variation in local weather explains differences in fire regimes within a Québec south-eastern boreal forest landscape. International Journal of Wildland Fire 19: 1073-1082. 28. Meyn, A., Schmidtlein, S., Taylor, S.W., Girardin, M.P., Thonicke, K., Cramer, W. 2010. Spatial variation of trends in wildfire and summer drought in British Columbia, Canada, 1920–2000. International Journal of Wildland Fire 19: 272-283. 26. Girardin, M.P. 2010. Wildfire risk inferred from tree rings in the Central Laurentians of boreal Quebec, Canada. Dendrochronologia 28: 187–206. 25. Girardin, M.P., Flannigan, M.D., Tardif, J.C. and Bergeron, Y. 2009. Climate, weather, and forest fire. 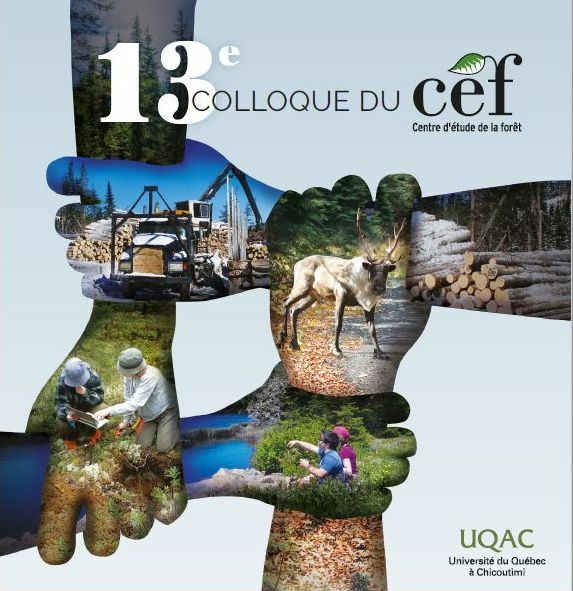 In Ecosystem management in the boreal forest, S. Gauthier, M-A Vaillancourt, A. Leduc, L. De Grandpré, D. Kneeshaw, H. Morin, P. Drapeau and Y. Bergeron (editors). Presses de l’Université du Québec. 392 pages. 23. Girardin, M.P., Tardif, J.C., Epp, B.,Conciatori, F. 2009. 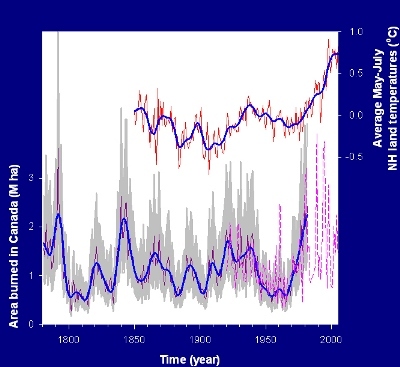 Frequency of cool summers in interior North America over the past three centuries. Geophysical Research Letters 36, L07705, doi:10.1029/2009GL037242. 22. St. George, S., Meko, D.M., Girardin, M.P., Nielsen, E., Pederson, G., Sauchyn, D.J., Tardif, J. and Watson, E. 2009. The tree-ring record of summer drought in the Canadian Prairies. Journal of Climate 22: 689-710. 20. Girardin, M.P., Flannigan, M.D., Tardif, J.C. and Bergeron, Y. 2008. Climatologie, météorologie et feux de forêt. pp 83-108. In Aménagement écosystémique en forêt boréale, S. Gauthier, M-A Vaillancourt, A. Leduc, L. De Grandpré, D. Kneeshaw, H. Morin, P. Drapeau and Y. Bergeron (éditeurs). Presses de l’Université du Québec, 600 pp. 19. Le Goff, H., Girardin, M.P., Flannigan, M.D., and Bergeron, Y. 2008. Dendroclimatic inference of wildfire activity in Quebec over the 20th century and implications for natural disturbance based forest management at the northern limit of the commercial forest. International Journal of Wildland Fire 17: 348–362. 18. Mudelsee, M. and Girardin, M.P. 2008. Risk prediction of Canadian wildfires. PAGES News 16(2): 28-30. 17. Girardin, M.P., and Mudelsee, M. 2008. Past and future changes in Canadian boreal wildfire activity. Ecological Applications 18(2): 391-406. 16. Girardin, M.P., Raulier, F., Bernier, P.Y., and Tardif, J.C. 2008. Response of tree growth to a changing climate in boreal central Canada: a comparison of empirical, process-based and hybrid modelling approaches. Ecological Modelling 213: 209-228. 15. Girardin, M.P., and Sauchyn, D. 2008. Three centuries of annual area burned variability in northwestern North America inferred from tree rings. The Holocene 18: 205-214. 13. Girardin, M.P. 2007. Interannual to decadal changes in area burned in Canada from 1781 to 1982 and the relationship to Northern Hemisphere land temperatures. Global Ecology and Biogeography 16(5): 557-566, doi: 10.1111/j.1466-8238.2007.00321.x. 12. Girardin, M.P., J. Tardif, M. D. Flannigan, and Y. Bergeron. 2006. Forest fire-conducive drought variability in the southern Canadian boreal forest and associated climatology inferred from tree rings. Canadian Water Resources Journal 31: 275-296. 11. Girardin, M.P., Tardif, J., and Flannigan, M.D. 2006. Temporal variability in area burned for the Province of Ontario, Canada during the past 200 years inferred from tree-rings. Journal of Geophysical Research 111, D17108, doi:10.1029/2005JD006815. 10. Girardin, M.P., Bergeron, Y., Tardif, J.C., Flannigan, M.D., Gauthier, S., and Mudelsee, M. 2006. A 229-year dendroclimatic-inferred record of forest fire activity for the Boreal Shield of Canada. International Journal of Wildland Fire 15: 375-388. 9. Girardin, M.P., Tardif, J., Flannigan, M.D., and Bergeron, Y. 2006. Synoptic scale atmospheric circulation and boreal Canada summer drought variability of the past three centuries. Journal of Climate 19: 1922-1947. 8. Girardin, M.P. and Tardif, J. 2005. Sensitivity of tree growth to the atmospheric vertical profile in the Boreal Plains of Manitoba. Canadian Journal of Forest Research 35: 48-64. 7. Girardin, M.P., Berglund, E., Tardif, J., and Monson, K. 2005. Radial growth of tamarack (Larix laricina) in the Churchill area (Manitoba) in relation to climate and larch sawfly (Pristiphora erichsonii) herbivory. Arctic, Antarctic, and Alpine Research 37: 206-217. 6. Girardin, M.P., Tardif, J., Flannigan, M.D., Wotton, B.M., and Bergeron, Y. 2004. Trends and periodicities in the Canadian Drought Code and their relationships with atmospheric circulation for the southern Canadian boreal forest. Canadian Journal of Forest Research 34: 103-119. 5. Girardin, M.P., Tardif, J., Flannigan, M.D., and Bergeron, Y. 2004. Multicentury reconstruction of the Canadian Drought Code from eastern Canada and its relationship with paleoclimatic indices of atmospheric circulation. Climate Dynamics 23: 99-115. 4. Girardin M.P., Tardif. J., and Bergeron, Y. 2002. Dynamics of eastern larch stands and its relationships with larch sawfly outbreaks in the Northern Clay Belt of Quebec. Canadian Journal of Forest Research 32: 206-216. 3. Bergeron, Y., Denneler, B., Charron, D. and Girardin, M.P. 2002. Using dendrochronology to reconstruct disturbance and forest dynamics around Lake Duparquet, northwestern Quebec. Dendrochronologia 01-02: 175-190. 2. Girardin, M.P., Tardif, J., and Bergeron, Y. 2001. Radial growth analysis of Larix laricina from Lake Duparquet area, Québec, in relation to climate and larch sawfly outbreaks. Écoscience 8: 127-138. 1. Girardin, M.P., Tardif, J., and Bergeron, Y. 2001. Gradient analysis of Larix laricina dominated wetlands in Canada’s southeastern boreal forest. Canadian Journal of Botany 79: 444-456. Aurélie Terrier, Modélisation des impacts des changements climatiques sur les feux et la végétation de la ceinture d'argile au Québec . Sciences de l'environnement, Université du Québec à Montréal. 14 avril 2014. Girardin, M.P., Tardif, J., Flannigan, M.D., and Bergeron, Y. 2002. Reconstructing atmospheric circulation history using tree rings: one more step toward understanding temporal changes in forest dynamics. In Proceedings for the 3rd International Sustainable Forest Management Network Conference - Advance in forest management: from knowledge to practice, 13-15 November, Edmonton, Alberta. Edited by T.S. Veeman, P.N. Duinker, B.J. Macnab, A,G. Coyne, K.M. Veeman, and D. Korber. Edmonton, Alberta. pp. 105-110. Girardin, M.P. 2007. Past and future changes in wildfire activity in Canada. Canadian Interagency Fire Centre Science and Technology Working Group annual meeting. September 30 and October 1. Four Points Sheraton Hotel, Gatineau, Québec.